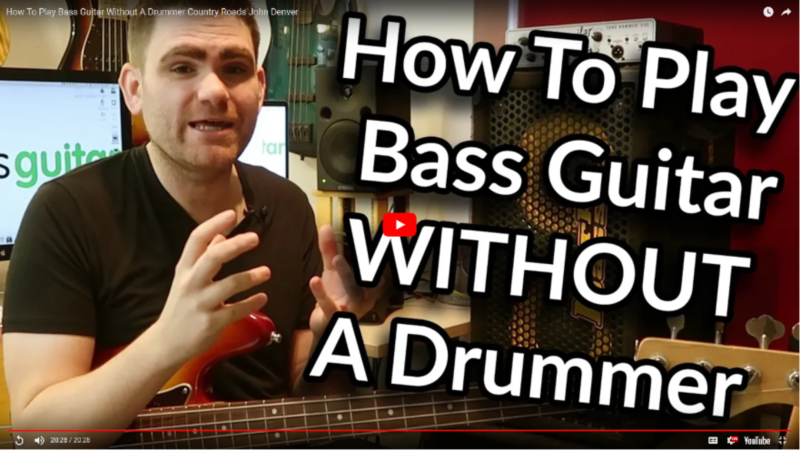 Click Here To Download The FREE How To Play Bass Guitar WITHOUT A Drummer PDF! Us bass players are super important. Well, I may be a little biased… but hang in there. Typically, a band has a rhythm section. In its most simple form the rhythm section consists of the bass player and the drummer coming together to create the foundation for the rest of the band. The rhythm section is there to provide the foundation of the groove and make the musicians above feel great....so they perform to their best. But what happens if you take away the drums? This lesson is all about what to do if you (the bass player) become the whole rhythm section. There are some really important skills in this lesson.